HOUSTON, TX — No question about it. The young hitter from The Bayou City wrecked Cornelius Bundrage in September to capture the IBF Super Welterweight Title and join the hearlded ranks of World Champions hailing from Houston. He made his first defense by clobbering Wilky Camfort in four rounds in Dallas and seems to have the right tools for a long and successful career. I would like to see him more active however, as he boxed less than a combined 17 rounds throughout all of 2015. 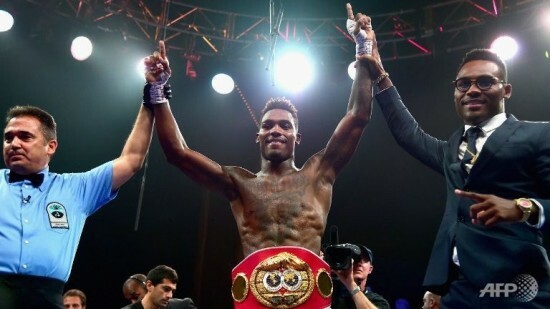 Charlo will only improve his skills, power and precision of his punches with more in ring activity. That combined with the belief that being a champion makes a fighter twenty five percent better, should catapult him into the top ten in the sport within the next two years. Super Lightweight Southpaw Prograis won the NABF Sper Lightweight Title and stopped Ramos after the eighth round of a fierce fight at the Bayou Events Center that was televised by Showtime. Ramos took a beating to both the body and head, and was so severely cut to the degree that his corner threw in the towel after eight rounds of a good bang up. 2016 should mark the year Prograis makes his move at a title shot providing the title claimants are willing to risk their belts against him. There are some fine boxing trainers in Houston, but once again the Port Arthur Legend leads the pack. Number One. The punishing featherweight amateur standout signed with Top Rank in October and is an all action slugger. Garcia fights out of the Elite Boxing Gym and is trained by Rudy Silva and looks to add a score of scalps onto his ring ledger in 2016. 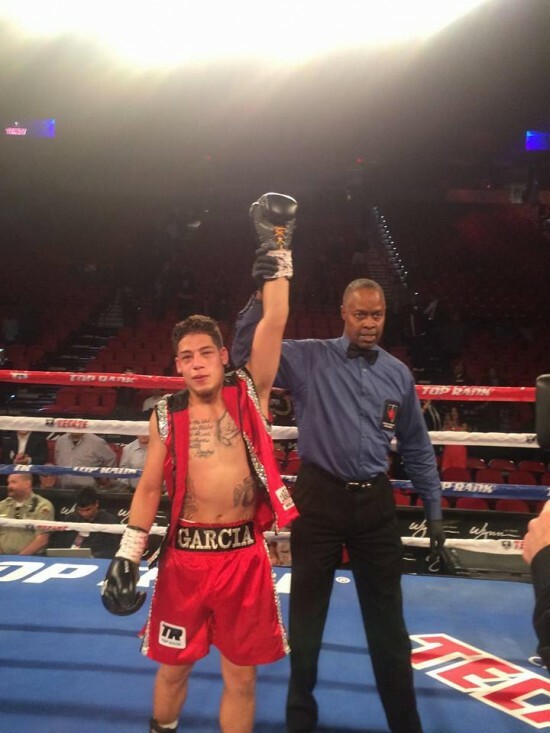 Garcia landed a big overhand right on his foe’s temple in the third round of his professional debut that left him dazed and confused and sliding down the ropes sideways. He crashed to the floor and into the arms of referee Kenny Bayless who waved off the contest then and there. The Big Guy scored a knockout as he brought Showtime Championship Boxing to the Bayou Events Center in December and put on a banging card that featured a bevy of undefeated fighters. Houston Boxing lost two esteemed members of its fraternity in 2015. Bill Watkins Sr., boxing coach and father of former World Title Challenger Termite Watkins passed away in November at the age of 81. Former World Light Heavyweight Title Challenger Chris “Hard Hittin” Henry was gunned down and murdered outside a Southwest Houston convience store in August. The bomber had amassed a record of 26 – 2 with 21 wins by knockout and was ranked as one of the biggest punchers in the division. He had not fought in over three years as personal battles and other outside the ring factors had hindered his once very promising career. His death was very disturbing to me as I had written extensively on Chris and considered him to be one of only a handful of true friends I have on the planet. All Their Yesterdays will be remembered by the people that knew them. Providing The Lord graces me with another year of life on his wonderful planet, I’ll be back this time next year with the 2016 Awards. By that time we will have a new President and new hope for our country in this, the Greatest Nation on Earth. Congratulations to all of the winners as success does not come easy, particularly in the dog eat dog world of prizefighting. Happy Holidays Everyone! And please try to remember the True Meaning of Christmas. Until next year, it has once again been a privilege to cover you all.